Three light grey hand towels, perfect for your kitchen! 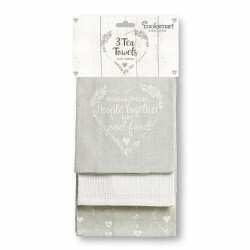 A lovely set of three hand towels 100% cotton! One hand towel is light grey with an embroidery, another is plain ecru and the last one is light grey with ecru prints. 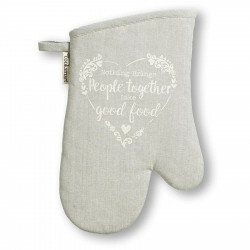 A grey cotton glove from the Food For Thought collection, perfect for your kitchen! 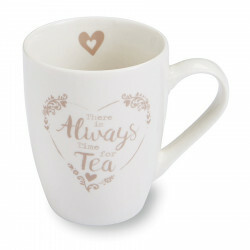 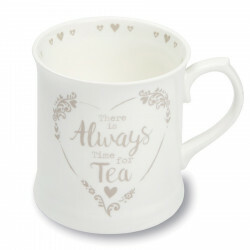 A lovely white ceramic mug for tea time! 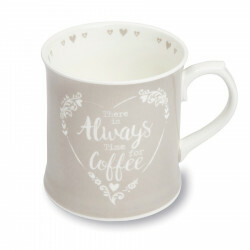 A lovely grey mug ideal for a large coffee! 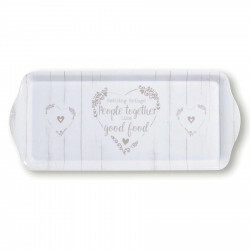 A small light grey tray, perfect for your breakfast and tea time! 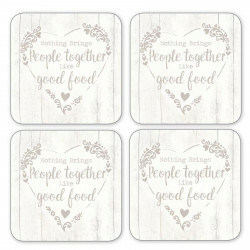 4 coasters from the brand Food For Thought, perfect for receiving friends during tea time !